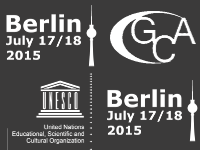 The final version of the programme for the 10th Global Communication Association Conference is now online! We are proud to have so many interesting people and exciting topics at the conference. Don’t miss this unique chance and come along! There are a lot of different ticket options. You will definitely find one that will fit your wishes. We also offer one day tickets for those who can’t be there for the whole conference. If there are any open questions, please feel free to contact us any time! We are looking forward to an amazing conference and hope to see you there. This entry was posted in News and tagged programme, schedule, tickets.